Angel Pamyel. Here, there is not so much online about her. But, she is in fact, crucial to the scheme of things here on Earth. Angel Pamyel, is a beautiful angel. She has a distinct role in the existence here. She rules over the ninth hour of the night. Imagine for a moment, being an inter-dimensional being. One that lives, in the halls of time. Within the Akashic Records of the multiverse, Pamyel rules over that place in time. And, for all places who have it as well. So, it is not just Earth’s 9th hour, but every ninth hour of the night, in any place of it’s existence. She sees all that happens, in that domain. She used to also have a specific role in her responsibilities of her position. Once upon a time, when first starting out as a messenger, she was responsible for delivering blessings and tidings, to earthlings. Blessings included, great inspiring thoughts at her time of the eve. This included conception, fertility, and new births of babies born at that time. She was also the inspiration behind great feasts to be had, and dreams, taking place in her hour. Dreams, if the person was asleep at that time, would be wonderfully prophetic. It would include inspiration and motivation for change, by giving people glimpses into how their lives would look, if the change were to actually happen. She had done such a loving, and humble job of doing this, not frightening humans while appearing to them. She was very comforting to people whose lives were a bit of a mess, when she came to bring good ideas for change, to them. Therefore, she is an entity of her hours, fertility, nightly inspiration and celebration. And of birth. Many messengers came in the name of Blessings, or to protect during times of trouble. Pamyel, Michael, Gabriel, Raphael, and a few others. The were also others, who are not mentioned in the books. Some, did not think anyone would believe them, if they said they had an angelic visitation. So, they never recorded it. Instead, they kept the life altering experience to themselves. No mater what though, messengers came. There were many of them, only many not named. And Pamyel was one of them. However, like many names here, Pamyel is the name that humans gave to her. Many angelic names are false, due to the speculation or the use of symbolism. 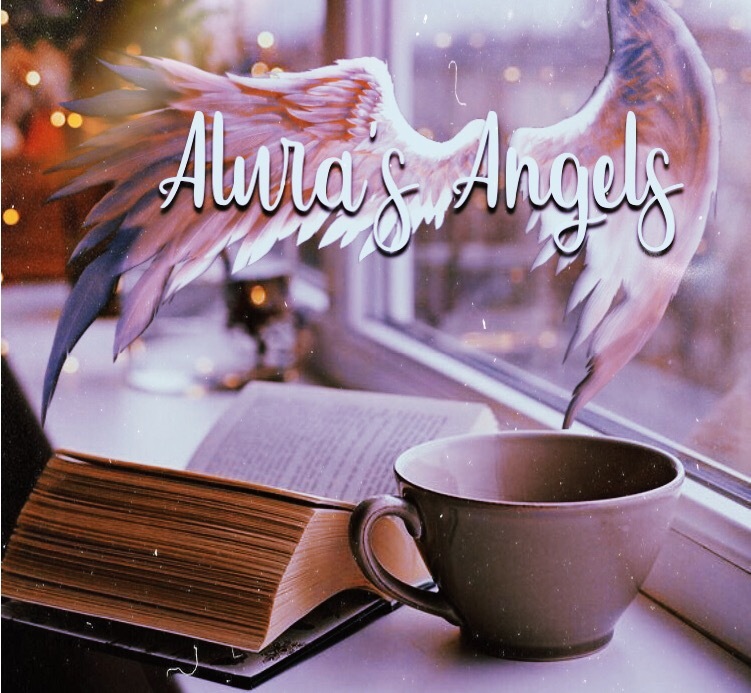 Angels have their own language. They have different names according to their language. Pamyel’s actual name is Amairiel (Ama-Ray-El). It would be pronounced as such, according to their language. Again, not every angel is known. Someone told me, “You once read a list of angels, and I never heard of them”. Well, of course not. I ask, “do you think this world has all of the wisdom from the heavens here? Not hardly. Her true name, (Amairiel) means, ” God of Time”. The name Pamyel means, (Sweetness of God). And so she really is. Angel Pamyel is one of the sweetest angels. She is kind, loving, and her character is all about devotion to the Creator. From many missions of bringing messages, she was promoted up to ruling her own domain in the hall of records, which was attached to the ninth hour of the night. In this, she got her own realm, in which all things that happen in that hour, are recorded. To anyone who is attached to Angel Pamyel, they would want to call out to her at that hour. In this, she would hear your voice clearly, because it would echo through the halls of time, in her domain. It would make the communications more accessible. Though, that hour is now full of crime and violence, because we know that more crimes occur in the night hours typically. Crime happens at all times, but at night it is more cloaked in the dark . The ninth hour is 10:00 pm for modern time. But in the Watcher’s time, it starts at 3:00 pm. Therefore, Pamyel is a “Deity of time” because she holds the wheel of time from 3:00 pm, into the completion of her watch, and also from 10:00 pm to 11:00 pm. How do we know when her watch ends according to the ancient perception of time if it starts at 3:00 pm? Well, there was no way of knowing. It went by the sun. One full day used to be marked from one sunset to another. There could be a little difference in the length of the day with that way of doing it. So, it ends for Pamyel according to that calendar, on a different minute of the time each day. But how wonderful for her to see everything according to her station? or better yet..stations. Imagine a spiritual world, with images of everything that is happening, or has ever happened at 10:00 pm all over and in other dimensions, playing in the atmosphere all around. She is a Lord of Time, but not “The” Lord of Time. There is a ruler for every hour of time, and many segments of it. It is an amazing journey to tap into. Especially, in trying to read the records. It is a realm that she creates all around her, using different things that she sees in the Akasha Records. She has even created her own pets, based on animals she has seen in many of the worlds who go by 3D, and 4D time. It is amazing, because spirit does not go by time. However, those who created this reality wanted humans to go by it. Instead of a Sun which sat still, they made the sun go up and down in the sky. Daughter of time, turn back the clock. On it’s axis the earth dances, slow it down, just for a few. Let Earth and Life stay, forever new. This saying was chanted during small tribal bonfires that they had on the continent, but which traveled into Mesopotamia later.. It was a symbolic song, for them wishing and wanting for people to slow down in growth, as they knew it would be the end of the heavenly rule, if humans learned to rule themselves. As they have…. Angels loved humans so much, but they said “O Lucifer, how you have fallen”, meaning not the devil himself, but because the name means (bringer of light, light bringer), they felt that the light that the angels gave some of the humans had fallen from perfect grace, as they learned to rule themselves. They became disobedient. They treated the deities and messengers, as magical genies who were to grant their every wish and command. It is true. They still do, today. Angel Pamyel, has seen a lot. In her domain, she has seen lovers resting in one another’s arms in the night. Passion that she could not help but to peak in on. She had a longing to find love herself too. She has seen magical rituals during that time of the night. She has viewed loneliness, and violence. She has seen mothers, reading to their children at night. All types of things! But yes, she longs for love. She does. She has company, as she can tap into other realms of angels, who are also ruling time, at any time. But she is stationed. That means, that she must be in her place, in her realm at all times. She is not known as a deity herself, any longer. Her reign crashed down, as new deities were raised up in her place, and her name faded into forgotten history. She is a cousin to Tyche, who is a goddess of time known to the Greeks. Tyche is another topic, but she is also an angelic being. A lot of Greek art, actually depicts some of the deities with wings. This is because they knew. Then, their close cousins, the Romans, knew. Then, they incorporated this into the new Christian teachings that they adopted,. But, instead of deities, they made the angels winged beings who worked for God, not Gods themselves. Why? Because, they did not want people to know that there were any other authorities, except one God. This was knowledge that only a few humans had access to, and all men would have to go through the Roman church, to get to that God. Instead, they could have learned how to work with the other deities, after raising their vibrations, and gaining portal keys to the dimensions.. Pamyel would be reached in the Wheels of time. They are realms that the consciousness of Earth, cycles into. For the records.. that is. Specific moments done all at once here, are kept in the record halls, by the ruling angels in charge. In conclusion, Pamyel is a beautiful being who appears in many ways. Specifically, she is made of beautiful energy. I only know of one soul, who is from the energy of Pamyel, here on Earth at this time. And being of Pamyel’s light, this soul would need to learn things under the realm of Pamyel, through her own higher self. Karmic lessons. Karma is built over time after all. Karma can only exist if there was a journey through the so-called time, by being able to learn the lesson and pay the debt in another lifetime. One can recognize her, by seeing a huge vortex of energy, looking as if it were 1 foot off of the ground and beaming straight upward about 20 ft. 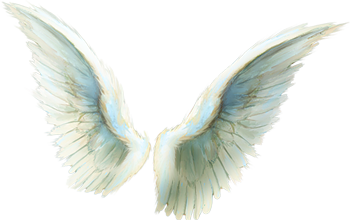 Inside, you would see her wings (Light extensions) fanned out with the white and sometimes pink, or blue. She also sends in a smaller messenger, in her place. They can appear in light orbs that are blue, white, and purple. It depends on the messenger that she sends in her place. As she too, will send smaller souls to come through instead. Ones to carry out her message in her place. Angelic Role- Angel of 3:00 pm, and 10:00 pm. To record the records, of what happens in that time setting, here and in other places. To motivate and inspire change. To teach karmic lessons. Fertility at those times, as well as births. Angelic Legion- Pamyel only has smaller messengers to do her bidding. Altogether, there are 6000 larger class elementals. Light Ray- Blue, White, Pink, in softer tones almost close to white. Angelic Family– Michael, Cassiel, Samael, Raziel, and the angels of the mansions of Earth. Including, Tyche. Who takes a place in one of hose mansions herself. Stone– Her stone is the Quartz Record Keeper, but with the triangles flattened, and coming in an outlined Triangle, not an actual full triangle. Best done at her ruling watch, 3:00 pm or 10:00 pm.